Hey folks, a friendly reminder that we do spoilers here so if you don’t want to know major plot points for either of these novels, consider yourself warned. 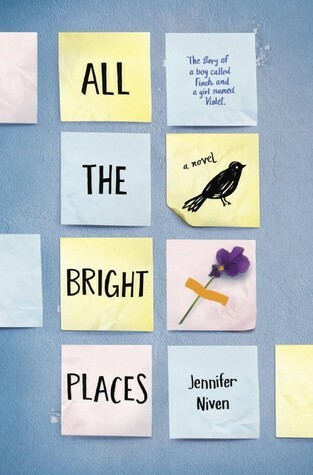 In young adult literature mental illness is an ISSUE (note the all caps) that comes with a responsibility to the intended audience. Misinformation is potentially harmful, as is romanticizing or sugarcoating facts. * Yet an author also has a responsibility to the story that they want to tell, their characters, and to themselves as artists. This doesn’t mean that accuracy and literary merit are mutually exclusive options—after all, accuracy is one of the Printz criteria—but they can be competing interests, especially in novels written with a young audience in mind. Can literary quality outweigh problematic messaging? Today we’re looking at two novels about depression, both published in January. 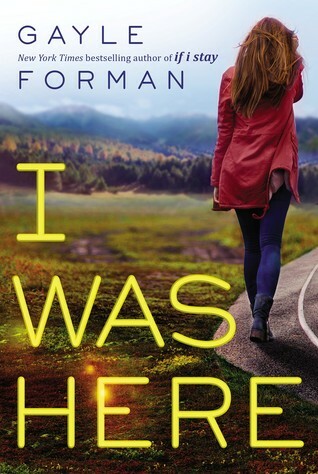 All the Bright Places by Jennifer Niven has earned four stars and gathered a lot of early buzz; Gayle Forman’s I Was Here has two stars and hasn’t been in the awards conversation per se despite treading the same ground.